Each DVD in the TALKING ABOUT...series is packed with short films fusing images, music, discussion and words from the Bible on a particular aspect of the Christian life. These films serve as the perfect introduction to a sermon, small group or one-to-one discussion. 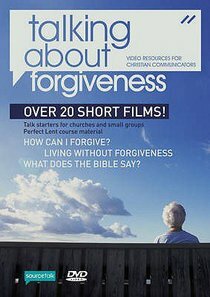 On TALKING ABOUT FORGIVENESS, the thoughts of respected Christian leaders and writers such as R. T. KENDALL, JENNIFER REES LARCOMBE and ROB PARSONS are included on films introducing the difficult and emotive subject of forgiveness. The videos are loosely linked into themed sequences, allowing them to be shown either individually or as part of a weekly series. TALKING ABOUT ! DVDs are a resource for Christian communicators designed to introduce themes and lead into more in-depth discussion. They are not designed to replace sermons or talks. This DVD also contains bonus extras, including a range of films developed by Damaris complimenting the subject of forgiveness.